Home » Android Infected? All tips and tricks to get rid of it. If your Android Infected with Virus, then you must read this article. Viruses don’t only attack the computer or laptops but they can target your Android devices also. And trust me its very common thing nowadays. There are various scenarios by which virus can attack your device. 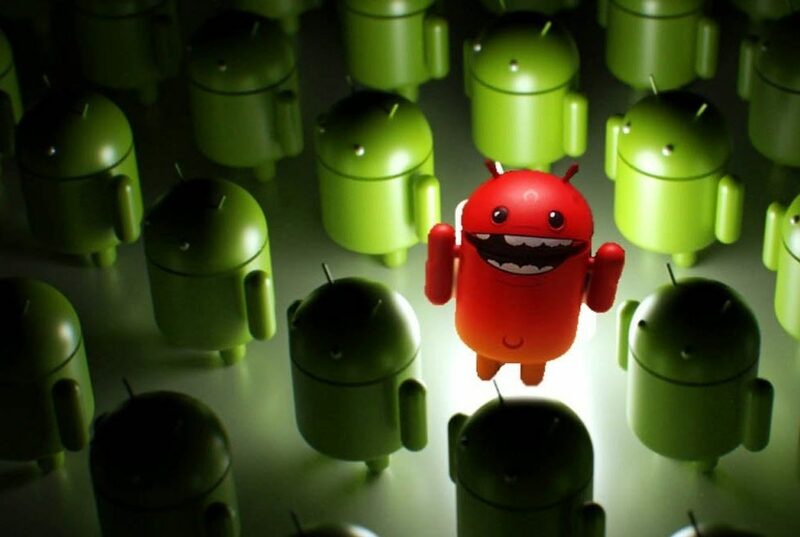 In fact, Android is now the new soft targets for the malware and online threat. Android users are also now suffering from virus attacks every now and then. Virus attacks make us helpless because our device contains too much of data-we can’t afford to lose. Your contacts, photos, documents, apps, games and more so all get endanger, if you don’t have a backup for all these. 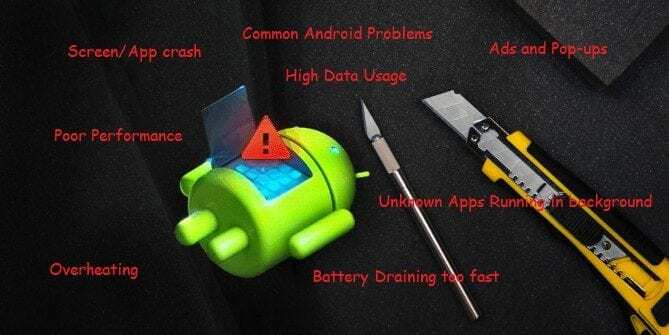 In this article, you will learn various things related to Android virus attacks, preventive measures and the best possible ways to remove it without losing your data. First, let’s check out the scenarios which will help you decide if your Android device infected with Virus. Not every strange thing happen to your device may be an act of a virus. There can be other reasons for this. You get pop-ups as apps not responding or so. Such issues may also arrive due to any software or hardware issue, battery problems, low memory or you have pushed too many unnecessary apps and utilities to your Smartphone. If not these, then when and how to decide that Android Phone is infected with Virus. Here are the few questions which you need to ask yourself to decide the fact. Have you downloaded an app from any third-party link or website? Are the problem started after you clicked any ad on a particular website? 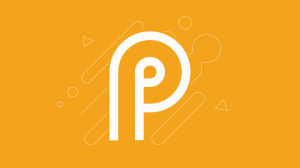 Have you downloaded any apk file from any unknown link or sender? Are the issues occurring while you run any particular app? Take your time to answer these. What do you get? If its a “yes” to any of these questions. Then, unfortunately, your Android Phone or Device may be infected with Virus. Don’t panic and never rush for factory resetting when you have other solutions. As the factory reset may help you to get rid of the virus, but along with that you will lose all your data. Automatic Removal: Download a legitimate Android Anti-virus program that will scan and remove the viruses from your Android Phone. Manual Removal: It takes patience and time to locate and delete the unwanted and suspicious things from the Android. For this, you need to follow a step-by-step guide to ensure the removal. 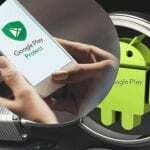 There are various Android anti-virus, protectors, optimizer, and scanners available for free. But not all are good and effective. They may just add a load to your Android device and bother you with unnecessary alerts. The best and the most legitimate Android anti-virus recommended is Malwarebytes. 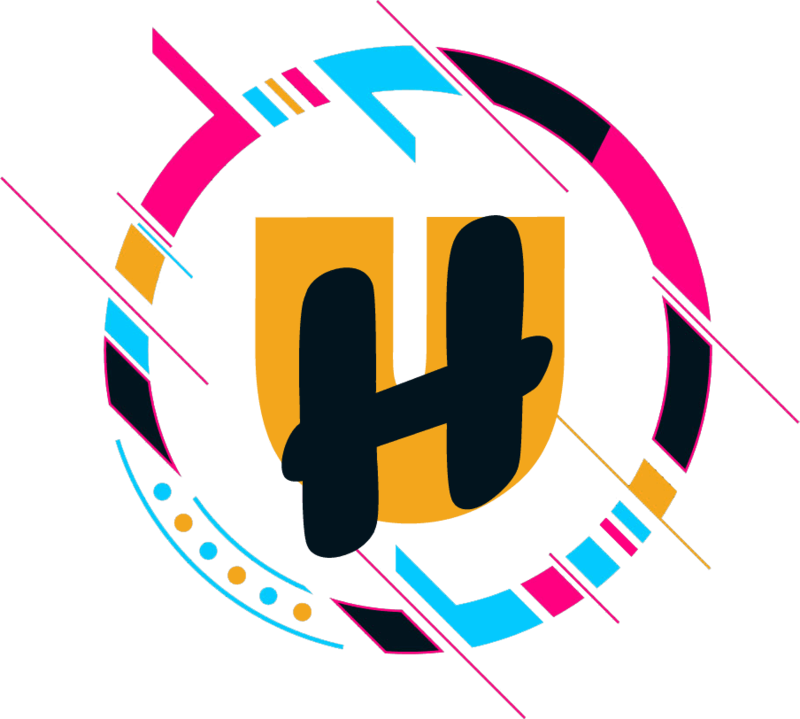 Malwarebytes is known for computer or desktop anti-virus/malware program. It also a trusted one for Android OS too. 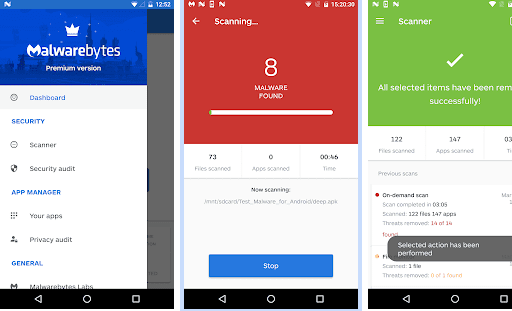 You can download the free version of Malwarebytes anti-virus app from the PlayStore. 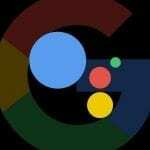 This will scan your phone and remove all the virus and its traces. You can further configure security settings within the app which will keep track of unknown apps being installed. The best part is its ad-free. You can also buy the Premium version of Malwarebytes for $12/year. This will give real-time monitoring to your device. In most of the case, one can successfully remove the viruses or malware with the anti-virus scan on their antivirus device. But you still face troubles, then go through the manual removal solution. The steps involve rebooting your Android device in Safe mode with just like your Windows OS. In safe mode, the Android OS runs without loading any third-party apps or from any unknown source and disables them. This will help you to find the suspicious app that is troubling your Android phone and you can remove it without affecting your other apps or data. Here is the step-by-step procedure to manually remove the virus from your Android device. Press and hold the Power button as you do normally till you see the power menu. 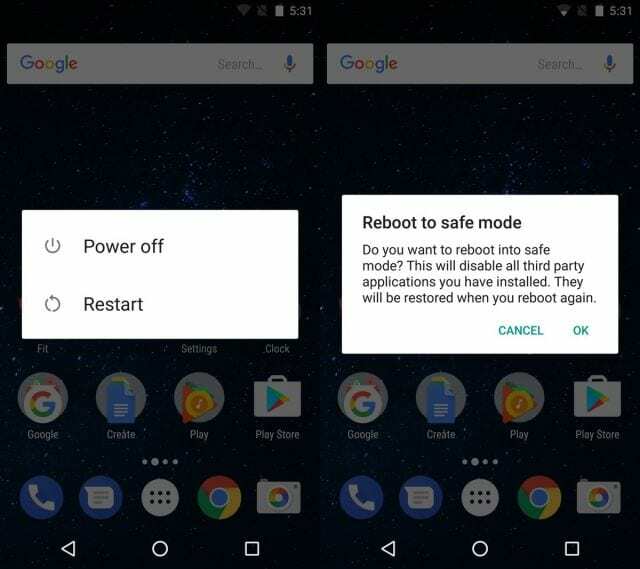 Now tap and hold Power off for few seconds until you get a prompt to “Reboot to safe mode”. After that, wait till your phone to reboot in safe mode. Your device will start up with the safe mode which you can see a safe mode watermark in the bottom-left corner. Press and hold the Power, Volume up and down buttons. You will see your phone’s logo appear, once you see that then leave the Power button and just continue holding the Volume buttons. This will boot up your device in a Safe mode. Look for the safe mode watermark to ensure that you are on. If this also doesn’t work, then Read your device manual or go through its official website to know the exact combination of buttons to enter in a safe mode. Go to Settings > Apps > Downloaded. Go to Settings > Apps & notifications > See all apps. Now, you need to go through the list of apps on your device and try to locate the apps after which the problems started. Also, look for any app which you didn’t install yourself. You need to remove all such apps. Repeat the process to uninstall all unwanted apps from your Android phone. If the app is not allowing you to remove it then, it might have granted itself the Device Administrator access. Go to Settings > Security > Device Administrators or (Settings > Security & location > Device admin apps for Android Oreo and newer Versions). Choose the app and tap on the checkbox next to it. Now go back to the app list and try uninstalling again. After that, close everything and reboot your Android Phone normally. Hopefully, the virus may have gone now. 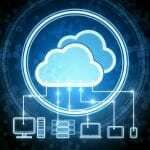 To ensure all the traces of the virus have gone, you need to clear the cache, junk files, and ads. Most of the Android devices have cleaner app to clear cache and free up memory and so on. If not then you can use CCleaner which is the best one for the Android to clean up your phone. Even after all these methods does help you out then, you need to do a factory reset of your device that will remove everything on your device. Never ever install any app from third party sources. Always download apps from Google play store. Always update your apps and Android OS to keep it away from any flaws or bugs. 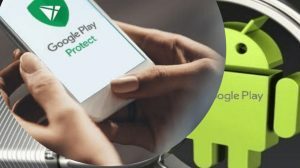 Turn on th Google Play Protect feature on your Google play. This will ensure you are not downloading any malicious app. And this also acts like a built-in anti-virus which will keep your device protected from malicious apps. Always keep a backup of your important photos, contacts, documents and so.